Feel cute and frisky with this adorable feline design. When you want to stay warm and express yourself. 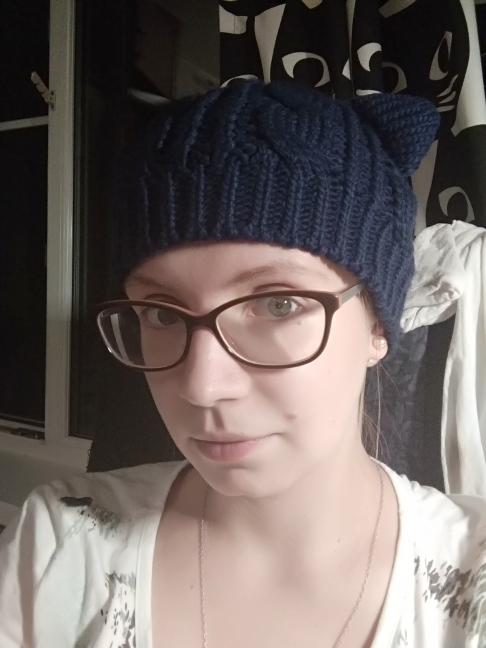 This cat ear beanie covers your ears and forehead so you’ll stay toasty all winter long. You’ll want to wear it when out with girls or running errands. Your new Cat Ear Beanie conforms to the shape of your head you won’t have to worry about unwanted sagging. Not only will you love the way it looks on you, but you’ll feel better knowing it’s made a quality cotton for a long-lasting fit. Wear it when you're out with friends or walking the dog. It will keep you balmy even in a brisk winter wind. With all the array colors to choose from, you’ll always have one to match your outfit. Know someone that will love this hat as much as you? The Cat Ear Beanie also makes a great gift idea for that special friend or family member. ⇨ The knitted pattern offers a casual textured look. The Cat Ear design is fun but muted to keep it stylish. ⇨ The headband is tight enough is to keep the beanie in place. Wear it at your browline or hairline for your desired look. This no-slouch fit gives you a cleaner look. ⇨ Makes a great stocking stuffer. Affordable and perfect for that secret Santa gift. 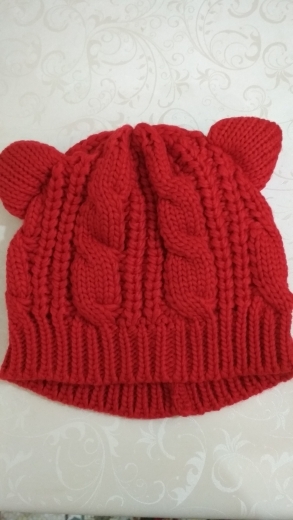 Lovely hat, soft, good stretch and sits on the head, warm, for this amount is awesome! Nice hat, amazing, exactly as pictured.